Alright, alright! Lieb Cellars is back on the blog for Round 2 with three new wine reviews comin' at ya! This is the first one, Reserve 2011 Blanc de Blancs, and then there's the Reserve 2013 Sparkling Rosé and Reserve 2014 Merlot. 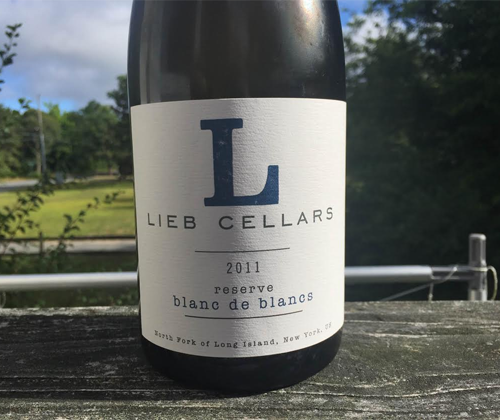 I just published an article on Lieb Cellars so if you'd like to learn more about the great story of their origin and what they're up to now, please go read A Brief History of Lieb Cellars - On The North Forth of Long Island, New York. With pretty much the setup of the winery in that article, I guess these reviews will be relatively quick. As much as I love writing long reviews, it's always fun to get the review done quickly so I can go enjoy the wine the way it was intended to be enjoyed: while playing superhero video games. Lieb's pride and joy is their Pinot Blanc so of course they're gonna make bubbly out of it. Their Reserve 2011 Blanc de Blancs is 100% estate-grown Pinot Blanc. Secondary fermentation for carbonation was done in the individual bottles and it spent 48 months on the tirage getting those yeasts to the bottle neck for degorgement. It saw a 9.0ml dosage of sugar to bring the residual sugar to 12.0 g/L, and the final ABV is 12.5%. This tasting started off with a bang. Literally. I hurt my hand at work at some point during the chaos of the holiday weekend, the same hand I broke about eight years ago, and I've just had to keep going. So it's in pretty bad shape. Anyways, I went to open the bottle with a hissssss and instead the pressure totally overpowered me. POP! The cork went flying, the wine fizzed up, and it overflowed everywhere. All over my AC/DC pajama bottoms and the floor. Ugh. The color of the wine is straw gold and there's lots of tiny little bubbles. 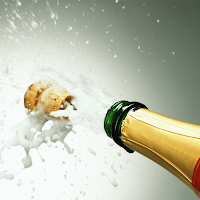 It's a good looking sparkling wine. The nose has yeast, pears and orange peel. In the mouth it's light bodied with bright acidity, and when you froth it up it gets nice and creamy but no flavor is lost. Like their Reserve 2014 Pinot Blanc (reviewed in October 2015), it starts off with a rush of green apple and then gets a serious dose of lime juice on the midpalate. It finishes with green apple and honey. I love it. When I really love a wine you'll often see me talk about character. That's because I feel like character is a big part of what makes a delicious wine so good. Character separates a wine from its competition. It makes that wine live forever in your memories. It makes you seek a certain wine out; not settle for one from the same grape or region. This sparkling Pinot Blanc from Long Island has a character all of its own. I would drop $30 on this bottle in a heartbeat and I think you should too. If only to experience its character just once.